The villa has WIFI and a laptop for email and internet surfing. Jana can take care of your laundry. Kawan villa has a permanent staff of 2 people. Jana is available for any questions of the guests of Villa Kawan (081558565506). She is at the villa daily from 9am to 4pm. She keeps the house clean, makes the beds and provides breakfast, lunch and drinks. Nengah (her husband) takes care of the garden and pool. He usually is around on average half a day and plans his work so that guests are the least affected. For hiring a car, a moped (sepeda motor) or bicycle ask Jana, also about the price. Two bikes that belongs to the villa are for free available. 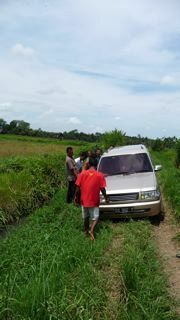 Ketut Sabra and Nengah are our regular drivers and guide. They areavailable day and night for transportation to and from the airport. Ketut is also available for all shopping and day trips. He is an excellent guide who speaks fluent English and German. Ketut not only knows all the famous sights but also knows the parts of Bali not in the guidebooks. He knows all the ins and outs of Balinese culture (places to eat!) and fascinating history. Ketut is the ultimate companion, quiet, gallant, courteous and humorous. In short he is good to have around! Rides to or from the airport costs IDR 350.000, for the same price you can also go for short shoppings with Ketut in Kuta (big Carrefour with food and nonfood). 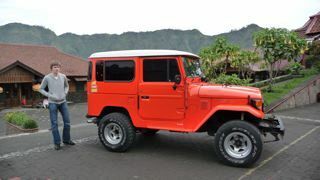 For a day trip, you pay around IDR 700.000. You can pay Ketut of Nengah after every trip. Jana (081558565506) is very experienced in providing the ultimate relaxation massage. She is trained in both the traditional Balinese and Ayurvedic method. A full one-hour massage costs Rp 100.000. You can also request a foot, hand, back or head and shoulders massage. You can pay them to Jana after the massage. 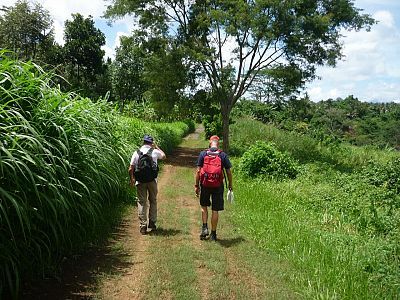 Villa Kawan offers ultimate opportunities for walking and cycling. There are two comfortable mountain bikes with gears available. Getting lost is almost impossible; the Balinese people will always help you in the right direction. Ketut (+62(0)8 1338413073) is also available for walks. 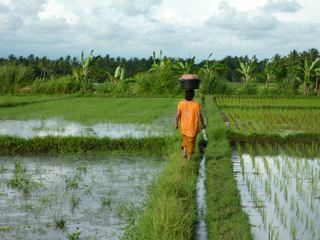 He enjoys showing you the surroundings of Ubud (his birthplace). You consult with Ketut on the payable amount. Villa Kawan is located a mere 10 minutes walk from the beach and the Indian Ocean. There is a quiet (black) sand beach. 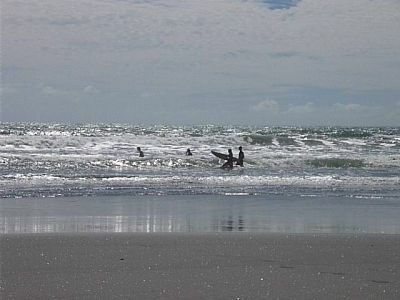 The waves offer great surfing, but can be dangerous, especially for young children. 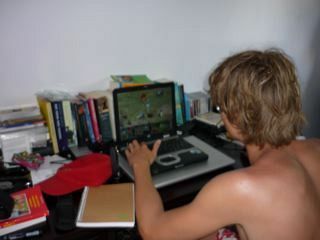 Putu is available for safety for the younger ones and he also provides amazing surfing lessons. There is one local riding school (Island Horse in Yeh Gangga) only about one mile from the villa, where under expert supervision you can go horse riding. They provide a tour along the beach and back through a number of small villages. The riding schools are set to both beginners and more experienced riders. Wearing a cap is compulsory and is provided by the stables. Making a reservation is smart and avoids disappointment. There are several options for lunch and dinner. Would you like to decide for yourself, then you can go grocery shopping if you wish together with Jana (081558565506). Sudimara (1 mile) has fresh fish for sale. There is a supermarket and a farmers market with fresh fruit and vegetables in Tabanan (5 miles). 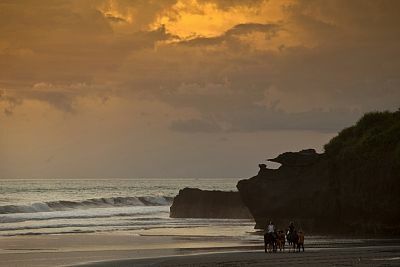 Kuta (12 miles) has a very large Carrefour, which has virtually all foods, from bread, apple pie to fresh meats, fresh fruits and vegetables. In Munggu Budah Bali has fresh bread and other nice food. Based on these ingredients Jana offers breakfast, lunch and a drink in between. 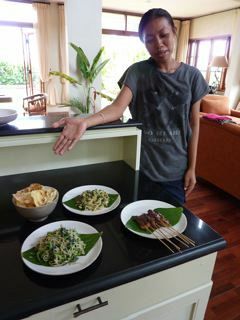 If you prefer to be surprised with Balinese food, you can give Jana money and she will go shopping on her own. You will then use local goods and help the local population. Would you prefer to eat outdoors, you can choose from multiple amazing options. From the "satay man" and Warung Putih (delicious noodles or fried rice), more extensively at Waka Gangga Hotel (1 mile) and Warung BT (delivery), to very exclusive in Alila Hotel (2.5 miles). 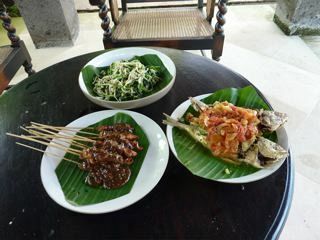 Tanah Lot (6 miles) and Canggu also offers are several restaurants in different price classes. If you like Jana can also provide dinner (she is an excellent cook! ), but you will have to pay IDR 100.000 per hour.